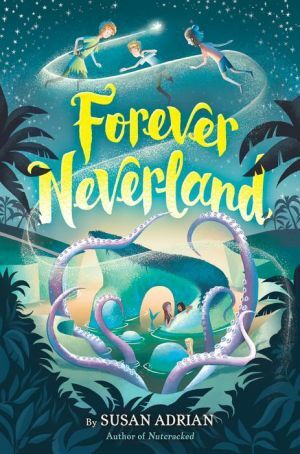 A contemporary sequel to J. M. Barrie's timeless classic Peter Pan, perfect for kids who loved THE LAND OF STORIES and dream of going to Neverland. Clover and Fergus are the great-great-grandchildren of Wendy Darling (yes, that Wendy). And now Peter Pan wants to take them to Neverland for the adventure of their lives! But Clover is a little nervous--she's supposed to look after her brother. Fergus is autistic, and not everyone makes him feel welcome. What will happen to him in this magical world? Fergus isn't nervous at all. To him, Neverland seems like a dream come true! He's tired of Clover's constant mothering and wants some independence, like Peter and the Lost Boys have. He wonders, Why can't the real world be more like Neverland? Neverland is fun and free, but it's also dangerous and even scary at times. There are unfamiliar creatures lurking in the shadows and strange sounds coming from the waters. And then the mermaids start to go missing. . . .